English is a vast subject. However there is one good thing about SSC Exams. They repeat same words in Antonyms,Synonyms and One word subsititution(many times). It means, if you managed to remember the meanings of some important words, your chances of getting more Marks in English will increase. In this post, I am adding some important words which are often asked. Example - He has been the director of the project since its inception. 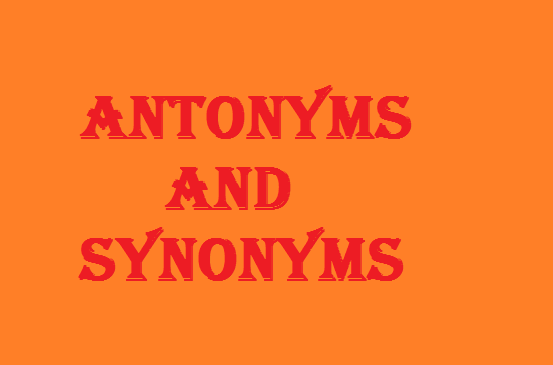 Synonyms - origin,Beginning, outset, source, root, conception. English Meaning - Extraordinarily great in size, extent, or degree; gigantic; huge. English Meaning - A statement or proposition that seems self-contradictory or absurd but in reality expresses a possible truth. English Meaning - Make an oral contract or agreement in the verbal form of question and answer that is necessary to give it legal force. English Meaning - Severe Criticism, to criticize or reproach in a harsh or vehement manner. English Meaning - Hard Working, persevering. English Meaning - Servile flattery; praise in excess, or beyond what is merited.